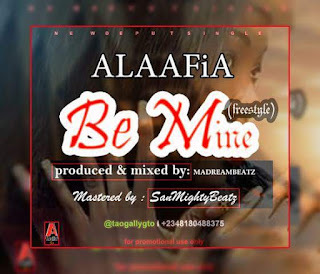 Alaafia is here again with another blow minding track after the successful massive turn up from his deput single Titled: SHERIKOKO and also He was recently get featured in MUJO by Osha Ibeji d Great Twinas Lagos based Act. But Be Mine is just a freestyle things. Download and enjoy the lovely tune when dropped on 25th.